Few activities are more exhilarating than driving a luxury sports car, and the booming city of Dubai is a remarkable place to do this. Situated on the Persian Gulf with its skyscrapers galore, extravagant 5-star hotels, wide boulevards and fantastic weather, Dubai is a driving destination like no other. At Paddock Rent A Car, we offer first-class sports car rental in Dubai. We provide an efficient, friendly service for both tourists and business professionals alike. 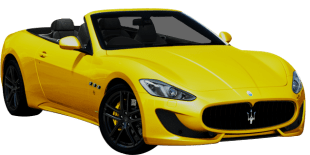 Our range of luxury vehicles includes some of the most sought-after sports cars, including those from Audi, Lamborghini, McLaren, Mercedes, Ferrari, Porsche, and many more. We include manual and automatic cars, front, rear, and 4 wheel drive, and 2 to 5 seaters. Besides this, we feature a number of styles, including coupes, convertibles, and SUVs. When visiting the United Arab Emirates (UAE), many tourists enjoy sampling the luxurious lifestyle that Dubai has to offer. One of the best ways to do this is to rent a sports car from Paddock Rent A Car. We also find that many business professionals like to rent our cars. Nothing can quite compare to a V10 supercar to make a lasting first impression and secure that lucrative business deal. Since we own all our cars, we are able to offer a highly competitive price for sports car rental in Dubai. We can provide car hire for short-term or longer up to a period of one month, and all our vehicles are fully insured. Securing a car is an easy process: Simply browse through the list of rental cars on our website, choose a car, then make a quick call to our office, or send a request via our website. We will then get in touch with a courtesy call to finalise proceedings. After this, we will complete delivery of the vehicle. Alternatively, it is possible to collect the car from our showroom. All our cars are regularly maintained to ensure maximum safety and performance.